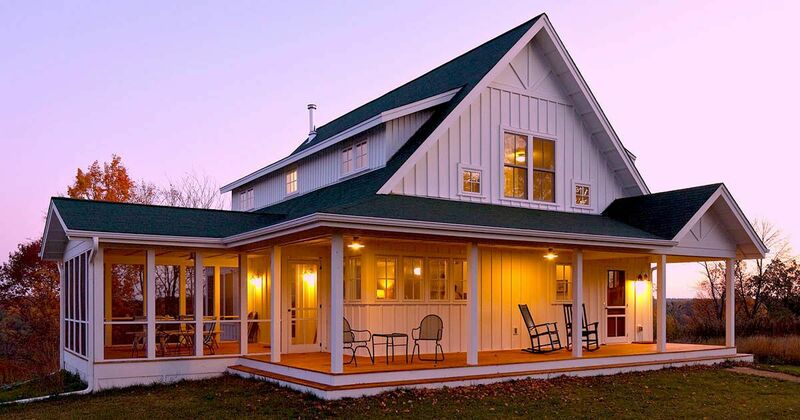 This divine farmhouse sits in the Wisconsin countryside, and it’s surrounded by wonderful views of the state’s natural landscapes. 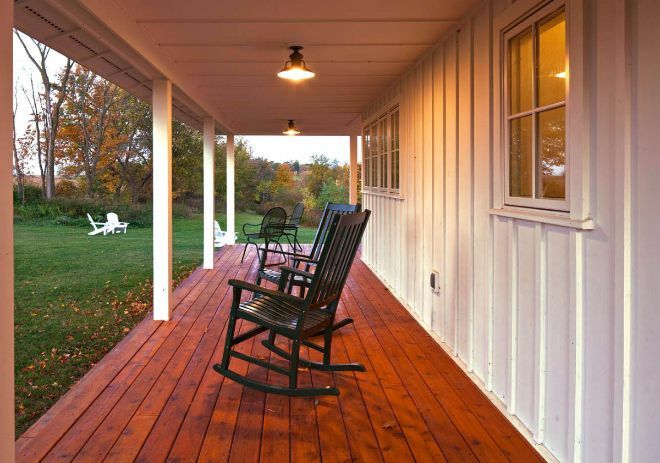 The home is a classic farmhouse to the core — it has all the traditional features that have made farmhouses so famous: multiple pointed roofs, large windows, and a porch that wraps around the base of the estate. 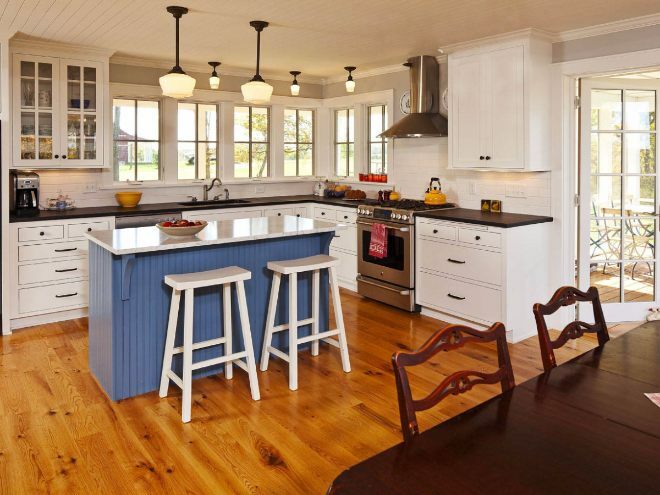 Inside, the kitchen serves as the first floor’s main focal point. 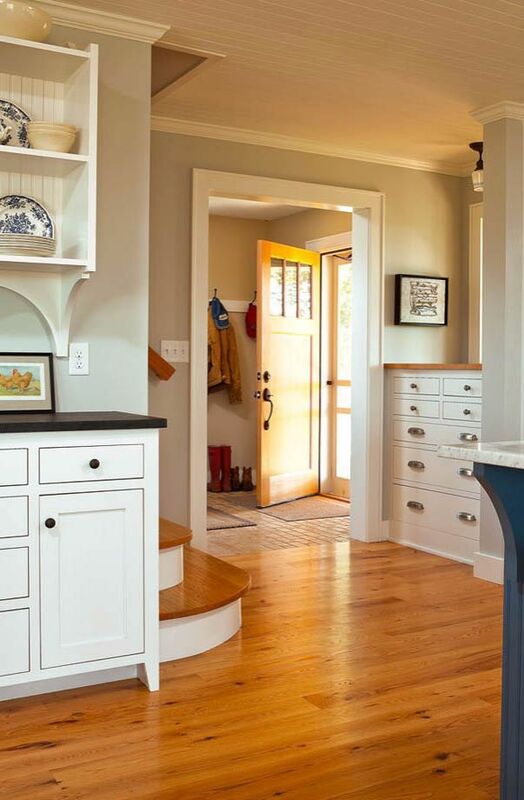 Hardwood floors matched with white paint mirrors the color scheme on the home’s exterior. A corner of the living room has large windows that show off the beautiful views outside. The old fashioned wood stove keeps the home’s farmhouse aesthetic intact.